Discover the Heart & Soul of the Delta in Helena, Arkansas. The Blues were born in the Delta and are still alive today—the largest Blues festival in the world happens here every Columbus Day weekend. From the ornately decorated Pillow-Thompson House to the Charles Eames-designed St. Mary's Catholic Church, the Delta is full of stunning structures. The Battle of Helena, fought in 1863, left our town with a wealth of historical sites, including Fort Curtis, Maple Hill Confederate Cemetery, and more! a custom tour perfect for individuals and groups alike. The possibilities are endless—so let's get started. As lifelong Delta residents, we're not only knowledgeable about our history and culture—we're passionate about it. And that's our mission at Delta Heritage Tours: to give you an authentic Delta experience like nobody else can. 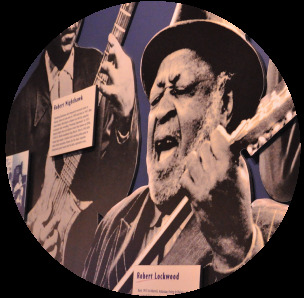 From mouthwatering soul food, to toe-tapping blues and gospel music, to our rich Civil War history, your stop here will be one you won't soon forget. Ready to check out the tours? Right this way. Tours aren't the only thing happening in Helena. mere hours of other popular Southern destinations!